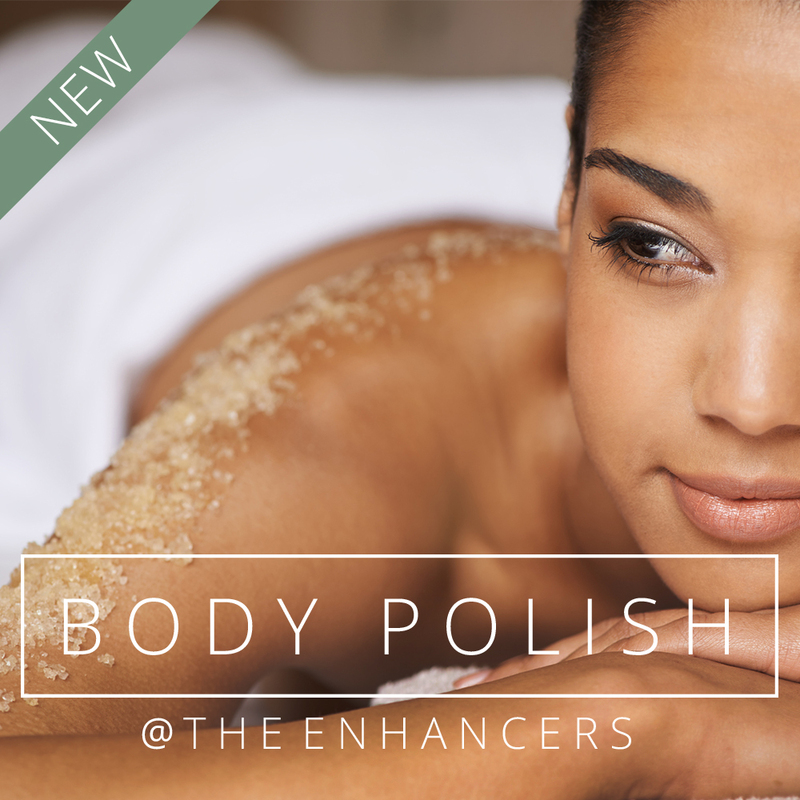 BODY POLISH by @THEENHANCERS is a body polish treatment whose primary function is to remove dead skin cells through exfoliation as well as cleanse the skin and increase the body’s blood circulation. This is an exfoliation of the extremities, back, chest, and abdomen. Using a salt/sugar based exfoliate with oils and other moisturizing ingredients that leave your skin silky smooth!